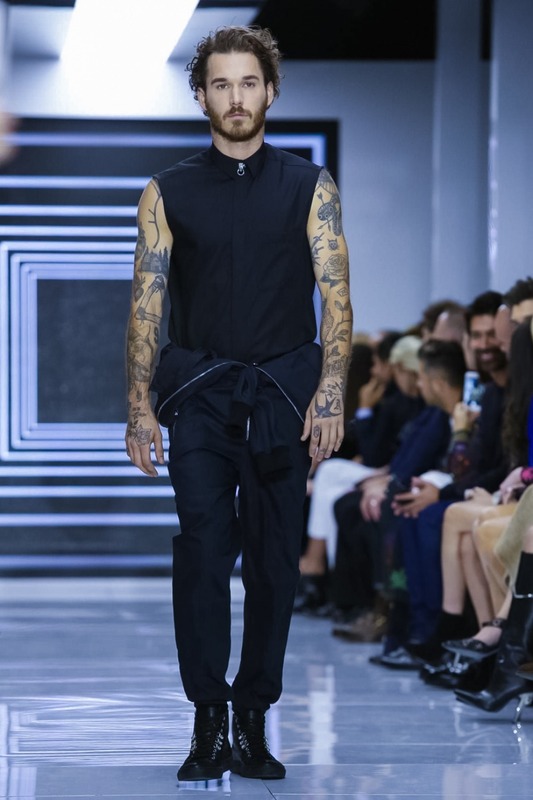 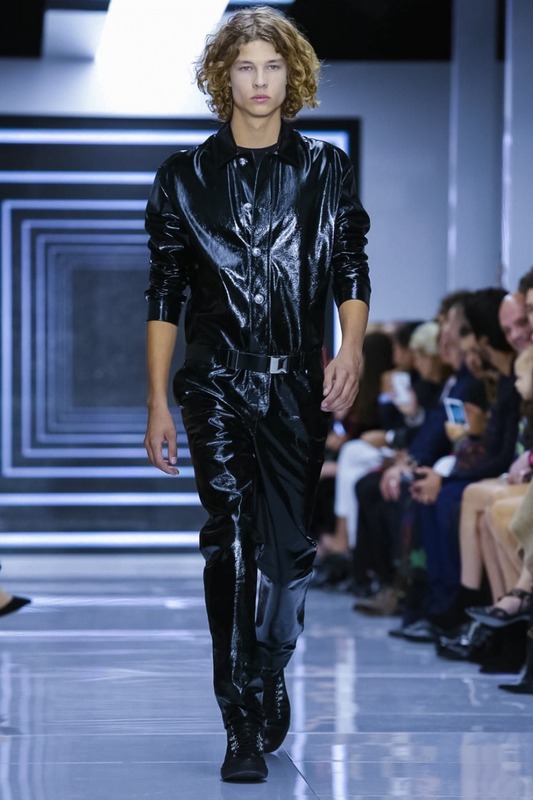 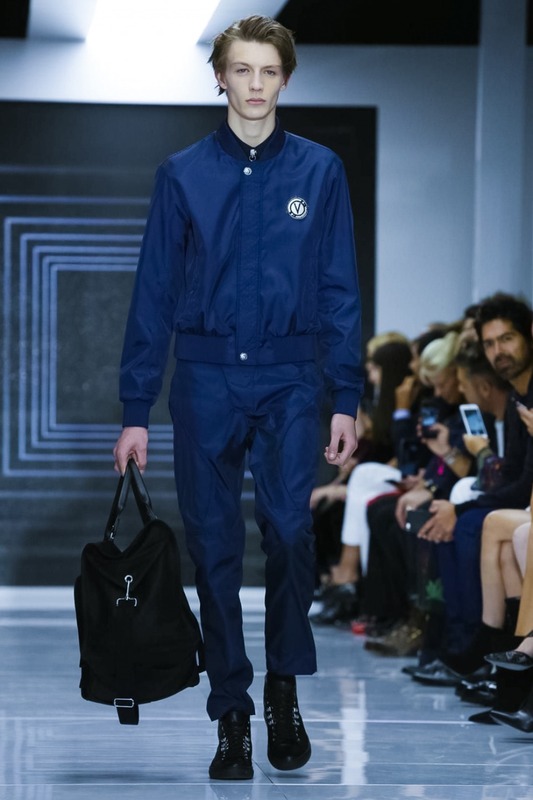 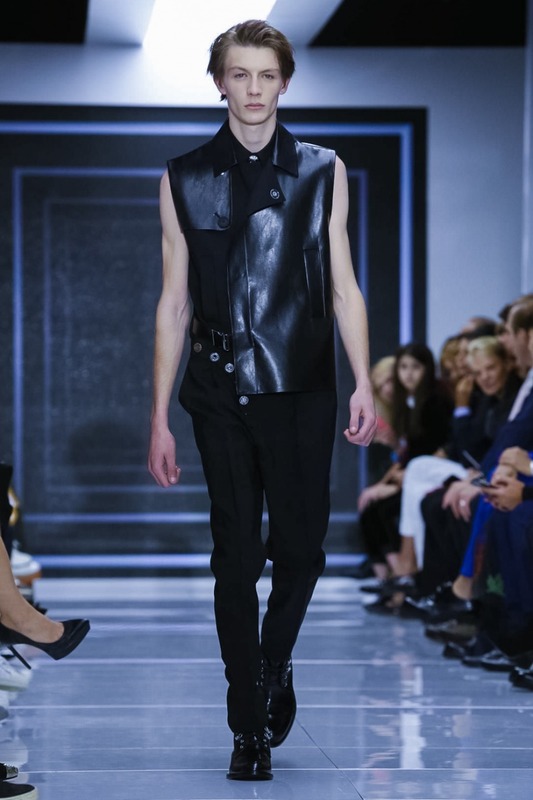 Vacarello is a fluent new-generation-channeler of the pulse of Versace. 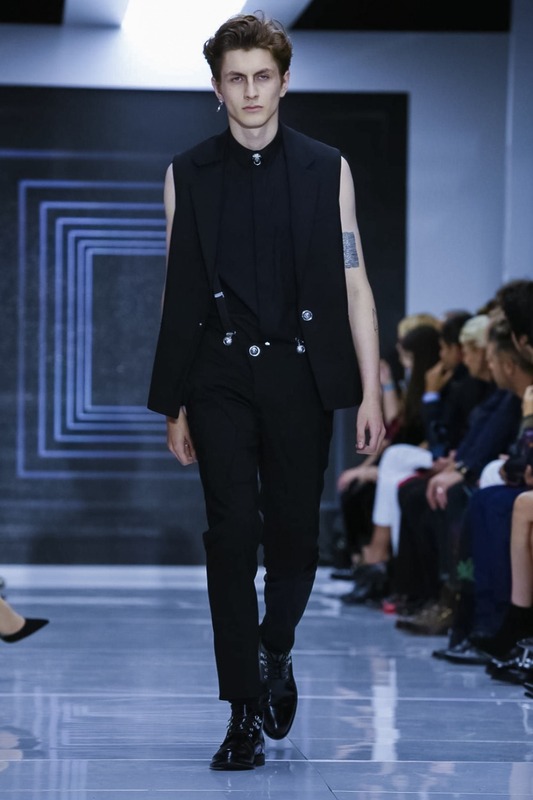 He gets the house codes such the lion-head medallions, the legginess, the body-conscious cutout-and-drape shapes, the tailoring. 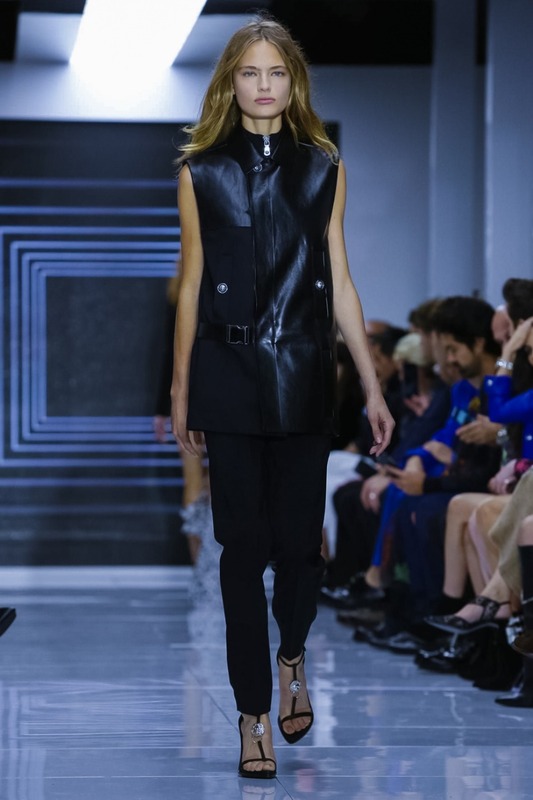 Erin Wasson, Jamie Bochert, Lily Donaldson, and Malaika Firth led the roll call of models in sharp black cuts, bomber jackets, studded leather, and “Versus” silver stamped disc belts and shoes. 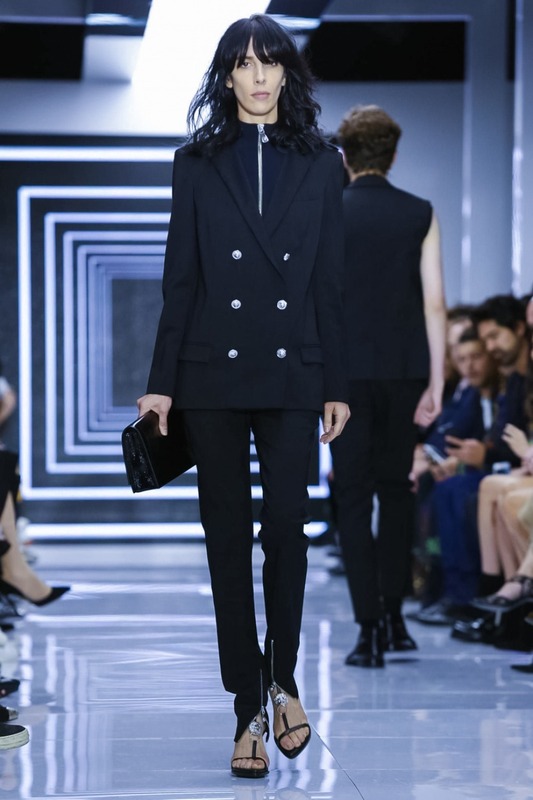 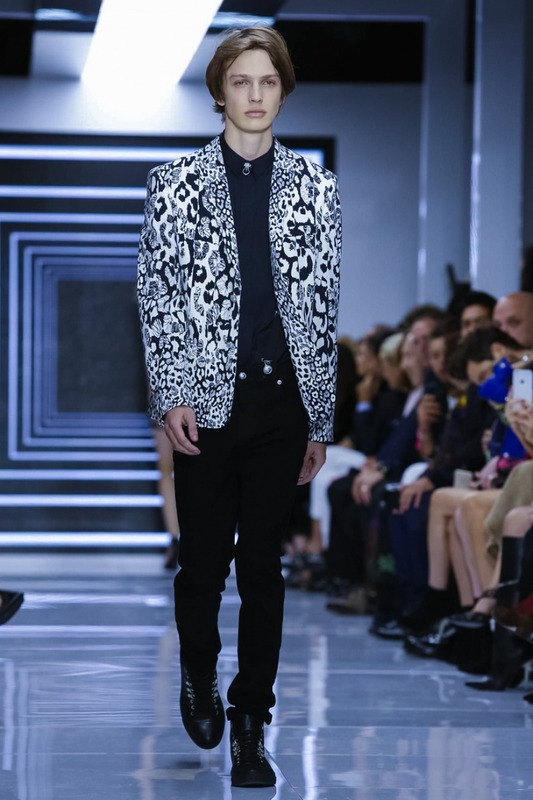 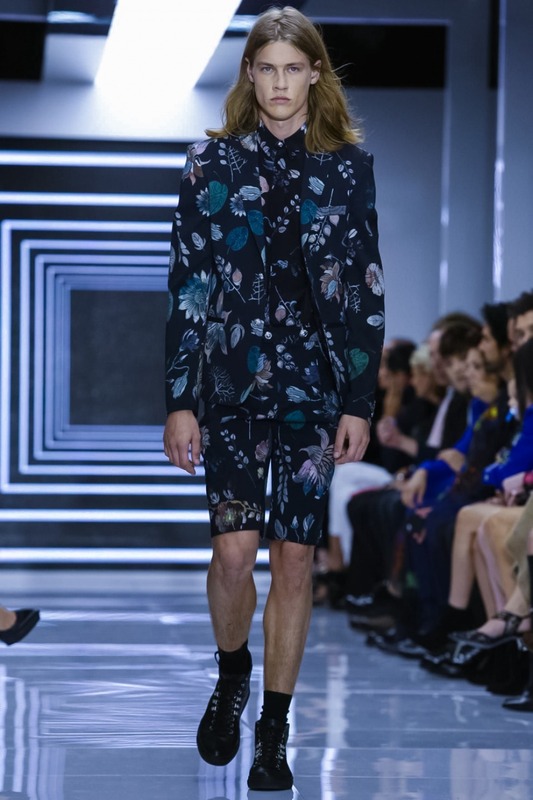 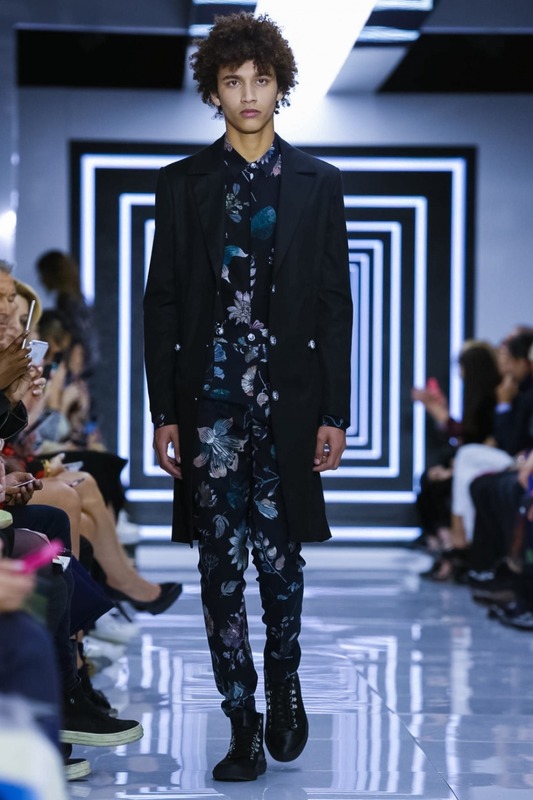 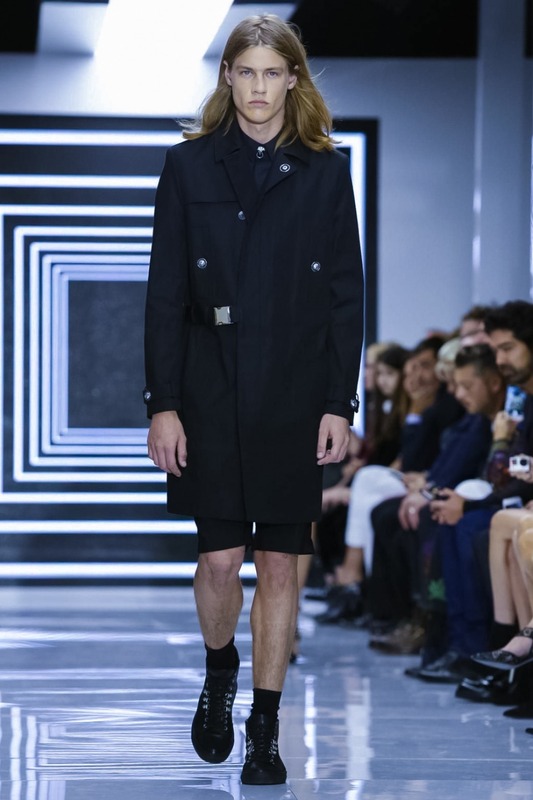 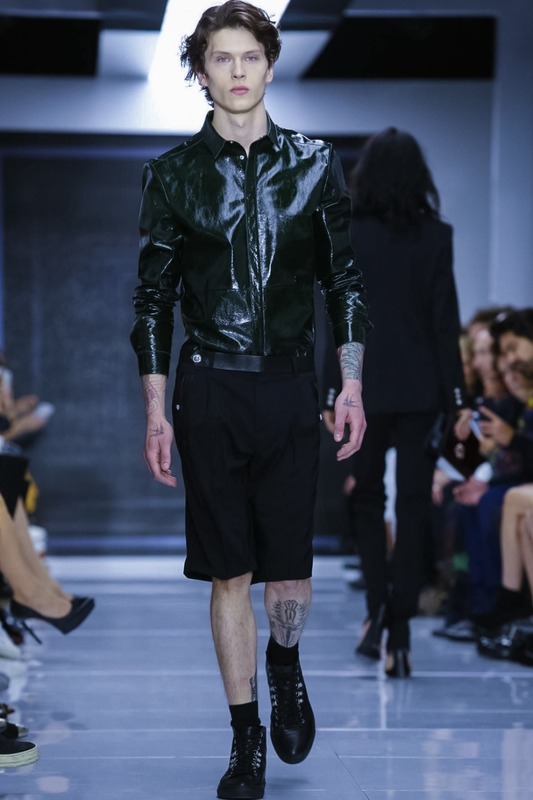 Tuxedo jackets were worn with attitude as dresses, the boys were as pretty as the girls, and slithers of satins, studded medusa heads, and curved button detail punched the spirit of Versus Versace into a new season. 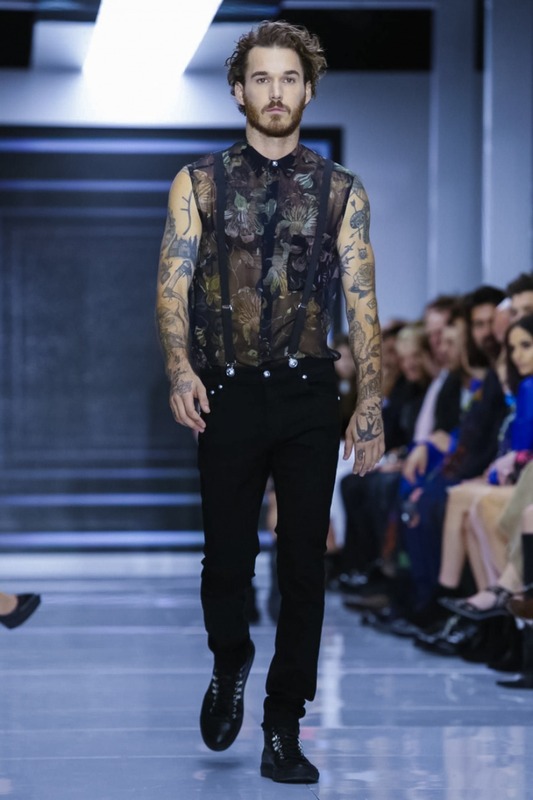 Black on black, leopard print silk scarves that wafted into skirts, asymmetric hemlines, catsuits, and long tunics were worn over trousers, printed denims, and inky black floral prints.